Rich recently participated in a Collaborative Learning Community (CLC) involving math and coding and this has inspired him to support others to integrate coding into their classes. A summary of the CLC project can be found at the end of the interview transcript. 1 – When did you first become interested in coding? Over the past two years, I have read about computer coding and how it’s the wave of future jobs. I had even googled ways to teach coding to elementary students. It wasn’t until a friend and colleague of mine, Steven Floyd, approached me about collaborating on an Ontario English Catholic Teachers Association (OECTA) Collaborative Learning Communities (CLC) Project that I actually put my curiosity into action. In January of 2016, I took my first baby steps into the world of coding. Yes, it was scary, but anything that takes you out of your comfort zone can lead to great rewards. I began working with four other teachers from across multiple divisions. Aside from Steve, none of us had a background in computer programming. We started simple. Actually, we didn’t… we started by looking at the typical coding you might envision in your head such as this: var x = 5. 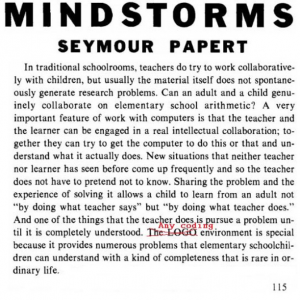 Then we worked backwards, simplifying things so they might make sense for ourselves and our students. 2 – What has the coding journey been like? After 5 months, I can honestly tell you that coding is scary, but in the same way you think a monster lives under your bed as a child. Once you calm yourself down and look at things from a different perspective, you realize things are not actually what they seem. 3 – What types of activities have you done with coding and how has it affected your classroom teaching? I began working with the programs Scratch, Scratch Jr, and Tickle for Sphero. As a teacher, I have never witnessed my students gravitate (and sustain) their enthusiasm for learning as they did with these programs. I started using Scratch as a math resource, but quickly realized there is also a large focus on language as well when using the program. What I saw from my students working with Scratch amazed me. Students were problem solving independently and not constantly seeking my support to find the answer. Although, when they did need help, they collaborated with their peers to find resolutions to a problem. Students gained confidence and also began to share their learning with their other peers, their parents, and many adults within our school. 4 – You mention collaboration, can you describe more about the collaboration that been happening in your school with regards to coding? The student collaboration has been such a positive result from this coding adventure. My grade 5/6 students have worked with Kindergarten to grade 8 students in my school on coding tasks. I was amazed at what Kindergarten students already know and pick up in a 40 minute block working alongside one of my junior aged student. I could not be happier as a teacher when I walk down the hallways and see other classes coding, using what my students have shown them. Colleagues who self-professed they are technologically incapable of coding, are now running with Scratch and Scratch Jr. and putting their own personal flare on coding lessons. 5 – What do you see as next steps for integrating coding into your teaching? I am certainly not going to write the code for the next amazing App, but I have found a need for coding in my classroom. I can even admit that many of my students create more elaborate programs than me. This is a result of them being engaged with coding and spending many hours at home creating their own games. I use the word “games”, but do not think for a second that curriculum is not involved with these creations. X and Y axis, positive and negative integers, you name it and that mathematics concept is or can be incorporated into a coding lesson. Students see the relevance in the math they are learning! Rich’s principal at his current school, Robert Scholtes, had this to add when we asked him about the impact Rich and his math and coding initiatives have had on the St. Marguerite D’Youville Elementary School community. Rich makes a difference throughout the school – with his students, with the families and with staff. He works at his craft, always trying to better his teaching practices. He’s not afraid to try new things and he is eager to get involved. I have heard from many of his students’ parents that their children are excited to come to school. The Coding Initiative is one of a few “initiatives” that Rich has done with his students. Fellow staff members saw and heard how excited his students were working on coding that they were interested in learning more. Before you knew it, Rich was visiting their classes during his planning time, or they would watch his class when they had prep so Rich could go into their class and work with their students. Coding was spreading, should I say, like a computer virus. Rich ran an after school Math Group for grade 7 & 8 students. In addition to helping them with their regular math help, he would add in some coding work to their activities. These students, most of whom were struggling with math, took off with the coding. They were engaged and excited “doing math” after school was out for the day. In order for coding to continue to have an impact at our school Rich knew he had to share his knowledge. Even though many teachers invited Rich to work with them and his students, he consciously went out of his way to offer his help to all teachers on staff. Rich was a “champion” of the coding initiative. When I walk into Rich’s class and the students are working on coding projects, they are very engaged in the work. Students that struggle with “everyday math work” are engaged as much as the high achieving students. They are collaborating and supporting one another – lots of students teaching students. And students teaching the teacher! We have to give students real world learning opportunities. Coding is one of those and a critical one at that considering how fast technology changes our world. If we just keep doing what we are doing, we are preparing students for a world that won’t exist. The world that they will live in after they complete school will be so much different than the world when they entered school. Worksheets, spelling tests, and Bristol board projects are not enough. Rich sees that. The students (and their parents) see it, and appreciate it. Research Question: Does the use of computer programming as a context for math instruction lead to increased student engagement? Does it allow students to make connections between mathematics concepts? Does it allow them to better apply new and relatively complex skills? We are very excited at the future role that we believe computer programming will have in the elementary classrooms of Ontario. It has been an incredible journey learning about how these tools can be best implemented for our students. While it has been incredible to see the members of our group take this initiative so far, it has also been exciting to help other teachers in our board learn about the benefits of these programming tools. After attending our Showcase Day and PD Workshop, teachers like Donna Forster at Blessed Sacrament in London are showing us how they are taking these basic skills and extending them in an effort to see how robotics can help with the communication of students with Autism, and how robotics can be used to engage students in Big Math Ideas. We are fortunate to have been given the chance to be a part of this self-directed, professional PD experience. Terms like growth mindset and lifelong learning are often given lip service but this CLC demonstrated the power of these ideas when given an authentic environment in which to flourish. 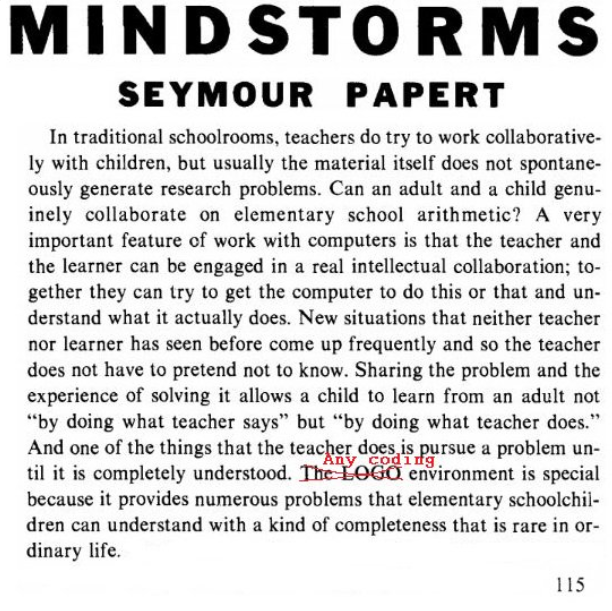 It has changed our view of teaching, not simply in the area of computer programming and mathematics instruction, but also in the larger perspective of how wonderful new knowledge and new experience can be both for students and for teachers.